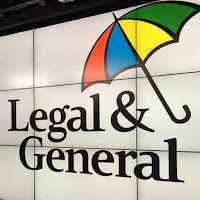 The Dividend Drive: BUY: Legal & General (LGEN)--Topping up on Top Dividend Growth Insurer? BUY: Legal & General (LGEN)--Topping up on Top Dividend Growth Insurer? I have had to cut back the number of purchases I can make at present as from the end of this month I will be without a wage but--quite naturally--still with expenses which means I need to stockpile a little more cash than I would normally carry. Legal & General (LGEN) which I opened a position in May. It was a tight run thing. However, in the end I went with Legal & General. Let's see why. 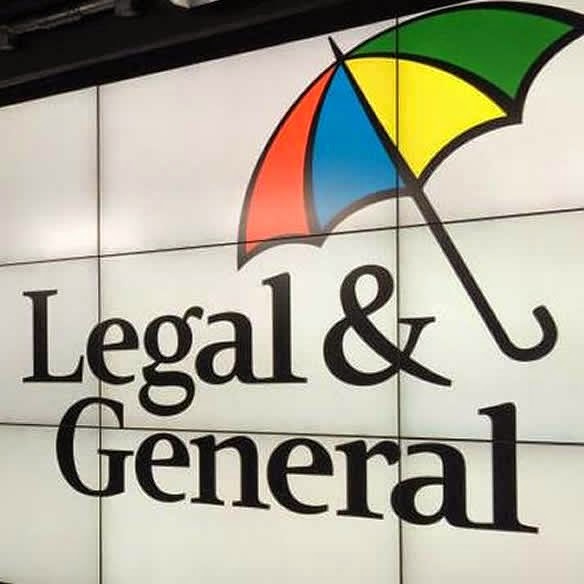 Who are Legal & General? Legal & General are pretty familiar to most people in the UK. They are a massive FTSE 100 life insurer, pension provider and investment management company. As is so often the case with such businesses, they are pretty sprawling. They have fingers in a great many pies which does make it hard to really pin down where their funds are. Nonetheless, the insurance, pensions business is an attractive one. You're given large volumes of cash which you then invest for the long-term. Indeed, at last count they had over $1,350 billion in assets under management. The nature of their business means they tend to be around for along time. Legal & General has existed since 1836--nearly 180 years--and I see no reason why they should not still be here in another 180 years. Pretty impressive indeed. So let's take a deeper look into some of the numbers. Insurers tend to trade on fairly undemanding P/E ratios compared to other industries. For example, over the last five years Legal & General have traded on an average PE of just over 11. For Old Mutual this is around 10. Even Prudential--which consistently attracts a higher valuation--has an average of 12.5. However, in recent years they PE ratio has rapidly grown for most of these companies. In the last two years Legal & General has averaged 14.8. For me though, even the lowest prediction (which, incidentally would represent a 7% growth on last year) looks good relative value at under 15. The consensus figure also looks excellent at 13.7. Again, this looks pretty good to me as an investor. The predictions are also pretty tight with a small 15% difference between the highest and lowest estimates. For me that gives a lot of confidence that we should see some nice sold, growth over the next couple of years. Again, here Legal & General looks great. At present the dividend from last year--11.25p per share--throws out a yield of 4.3%. Not bad at all. However, the rapid growth in earnings is expected to be mirrored with the dividend. At present analysts expect a dividend of 13.19p and 14.28p for this year and next. That would be a yield of 5.07% and 5.49%. Pretty spectacular. What is more, at that figure the dividend should be fairly well covered by consensus earnings at 1.44 times (a payout ratio of 69%). That is fine in my eyes largely because of the incredibly ability to generate cash the company has shown. That being said, as I mentioned before, I don't believe that they had to so rapidly crank up the payout ratio from the 3.1 times earnings back in 2009 to the 1.5 times they have been targeting (since 2011 the dividend has grown over 20% per year). Leaving a heftier cover would not have made investors complain about slow growth but would have provided a greater cushion for the company should another period of economic uncertainty hit. Just my opinion, though. The company has stated that they want to target earnings cover of 1.5 times. As such, the above dividend predictions may be a bit generous (at 1.44 times). However, even assuming a 1.5 times cover for this year and next--based on consensus estimates--we should see a dividend of 12.63p and 13.68p for this year and next. Yields of 4.85% and 5.26%. However, today they announeced an interim dividend payment of 3.45p which is 19% higher than last year. As such, maybe--rather than being generous--the predictions are conservative. Overall, though, as you can see dividend wise Legal & General looks top notch in both the yield and growth category. So what about some of the other numbers? Well here things look equally pleasant. Debt to equity is a pretty solid 0.61. What is more, although debt has risen a little since 2010 it has been modest at about 2.6% per annum. In contrast, cash reserves have grown over 20% per annum during that period. As a consequence at the last report they had £22.7 billion in cash on the books. That is about 381p per share in cash. Quite a war chest. Insurers tend to have fairly large cash reserves. However, even by those standards this is extremely large and represents almost 1.5 times the share price. So how does Legal & General fit into my investing goals for 2015? Not too badly. Obviously, my goal of keeping my portfolio yield around 1.25 times the FTSE All-Share yield is helped along by their generous payouts. At the moment the FTSE All-Share is yielding 3.39% which means my target yield is 4.24%. Also, my newly revised goal of a dividend income total of £1,100 or more is helped a little by this new addition. Although I missed the final dividend payment for this year I should see the interim payment in October which should add another £8 or so to my dividend total for the year. Quite helpful. My target of a portfolio beta below 0.85 is not overwhelmingly helped by this purchase though as Legal & General have a beta of about 1.44. Nonetheless, I am still on target in this regard. Finally, with the fees on this purchase amounting to 1.22% of my total costs I should still be very much on track to achieve my goal of 1.3% or less expenses cost for this year. Overall, I am very happy with this top up. Legal & General has now leap-frogged into the fifth largest holding in my portfolio. I think it deserves that high position. At the present stage in the cycle I am happy with this. However, I would like to see that come down over time. Do you think Legal & General is a good buy? Or what is your favoured high yield and high growth company at the moment? It is a nice buy, Stalflare. They seem to have managed to handle the transformations in the life insurance business very well. It looks like they will be able to keep it up going forward as well! I see the increase in dividends today and really wish I had bought more. I only hold three stocks at this moment in time but am likely to top up on these whenever the share price drops back a little. I too am short of cash due to maternity leave so need to be careful with my investments. I know the feeling with having to be careful with the limited cash I have (though for much more mundane reasons). LGEN's growth looks to be going on for some time yet. I am sure there will be plenty of other opportunities to jump on board! I am not at all surprised, M. Very attractive companies. It was incredibly tight deciding between the two. My only concern with Old Mutual is that they seem to be facing a lot of competition in their "home" African market (including from another of my holdings, Barclays). As yet I have not managed to find out enough on how they are succeeding in fighting this off. Overall, though, judging by today's results, quite well! Unilever is attractive at these prices. However, I am suffering the same problem you had with BAE. I got a bargain and so it "looks" expensive when judged against my current holding! Like M, both LG and OM are on my ever growing watchlist! A solid top up anyway and thanks for the analysis. All the best work-wise after the end of the month. I am not surprised to hear that, weenie. I am happy with the top up especially after the hefty dividend increase again! Thanks. It is going to get interesting from October! Fingers crossed!